- the concrete and/or grout joint material in bearing. 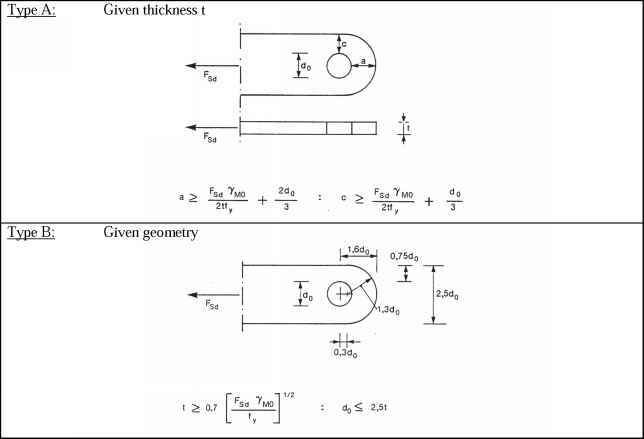 (2) The total length leff and the total width beff of an equivalent T-stub should be such that the design compression resistance of the T-stub is equivalent to that of the basic joint component it represents. NOTE: The effective length and the effective width of an equivalent T-stub are notional lengths and may be smaller than or equal to the physical dimensions of the basic joint component it represents. t is the thickness of the T-stub flange; fy is the yield strength of the T-stub flange. Where the projection of the physical length of the basic joint component represented by the T-stub exceeds c on any side, the part of the additional projection beyond the width c should be neglected, see Figure 6.4(b).